KARACHI: The foreign investors bought a staggering $11.22 million worth Pakistan stocks on Tuesday. The market speculated on company and parties that could have entered into cross of that huge order. Major players suggested that it was perhaps buy-back of shares in Siemens (Pakistan) Engineering Limited, by the parent company Siemens AG Germany which holds 66.10pc of the Pakistani subsidiary stock. Although there was no official confirmation from the company or the stock exchange of Siemens having stepped up the buy-back, market players said that at that price the per share sale price works out to Rs1,182, which falls close to the Tuesday�s closing price in Siemens Pakistan stock at Rs998.50. Slightly traded, only 6,950 shares changed hands at the KSE with the scrip recording gain of Rs35.25 on Tuesday. 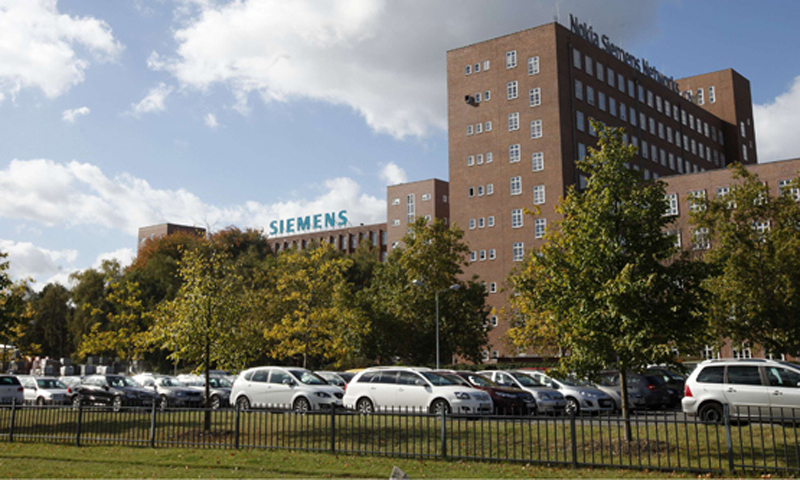 The buy-back view was fortified by the Nov 7 decision by the parent company of the German engineering and electronics giant, Siemens AG Germany, which announced in Frankfurt that it would buy back up to Euro 4bn worth of its own shares. The chief executive, Joe Kaeser, anticipated that the reduction in the total number of shares, along with a rebound in profit from operations, will increase earnings per share by 15pc. The last available data shows Siemens AG Germany owns 66.10pc of Siemens (Pakistan) Engineering. The other two major holders are: NBP-Trustee department (NIT) with 12.64pc and National Bank of Pakistan having stake of 9.56pc or 788,078 shares. As the stock is expensive, individuals own just 2.47pc or 203,873 shares in the company. The Siemens (Pakistan) report for nine months ended June 30, 2013, quotes chairman, Bernhard Nlessing, and CEO, Cuenter Zwickl, as stating that the company had earned profit (before tax) for the period amounting to Rs314m, which worked out to 3.2pc of sales. �During the corresponding period last year, the company earned markedly higher profits which were mainly attributable to reversal in provisions on account of approval of extension of time claim by a customer in Dubai,� the directors said and added that the headcount rightsizing was still ongoing. In addition, further provisions for the restructuring and clearing legacy projects can be expected in the forthcoming quarter, substantially affecting the overall profit of the current business year, directors wrote in the report. The profit and loss account for the nine months ended June 30, 2013, showed net sales at Rs9.777bn, against sales of Rs10.429bn in the same time last year. Profit-after-tax stood at Rs164m compared to Rs519m earned in three quarters of earlier year.